Ronnie graduated from St. Andrews College where he double majored in Chemistry and Philosophy. In college as a sprinter, he lettered in track 3 years, and was named Academic All-Conference in the Dixie Athletic Conference. Ronnie also served as a teaching assistant under Dr. Harry Harvin and was appointed as Assistant Director of Logistics for the St. Andrews College Sciences Laboratory. He assisted in directing lab operations for the departments of Chemistry, Biology and Physics. After college, Ronnie worked to put himself through law school in Arkansas. He was appointed to the Law Review, and later served as a law clerk for Judge Andree Layton Rolf prior to her appointment as Associate Justice for the Arkansas Supreme Court. 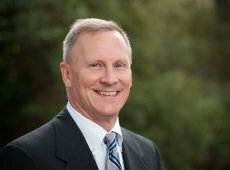 Ronnie serves as as a certified Mediator for North Carolina Superior Court cases and South Carolina Circuit Court cases. Ronnie routinely mediates cases and enjoys helping parties resolve their conflicts. Ronnie entered the United States Navy in 1986,, serving in the JAG Corps, where he served as Staff Judge Advocate, Commander SUBRON EIGHTEEN; Commanding Officer, U.S.S. Holland (AS-32); Commanding Officer, U.S. Naval Air Station, Guam; and Assistant Staff Judge Advocate, Commander, U.S. Naval Forces, Mariannas. During his tenure, he was awarded the the Navy Achievement Medal, Navy Commendation Medal and National Defense Service Medal for his actions supporting the operational coalition forces during the first Gulf War. ROnnie successfully prosecuted on behalf of the government, the murder trial of UNITED STATES v. HERNANDEZ. He was appointed by the Department of Justice to serve as a Special Assistant, United States Attorney, and prosecuted numerous civilians for committing crimes on U.S. military installations. Ronnie was born in Rutherford College, NC and grew up in western North Carolina. Ronnie enjoys music. He played piano, guitar, cello, was an avid singer (1st tenor) and actor in high school and college, and has also performed in bluegrass bands. Ronnie's hobbies today include singing, playing music, calligraphy, collecting flags, teaching vexillology, and performing volunteer work supporting local schools and his community. His wife Joanne, served in the US Navy, and they have 3 children, Billy, Ben and Emily.